With baby boomers now at retirement age, the 55+ Community lifestyle has become extremely popular here in Naples, with active retirement communities tailored to suit busy lifestyles, whether it be golf, tennis, sailing, fishing, bowling or just enjoying life, the Naples area has something to offer everyone. If you are considering one of the 55+ communities, there are many reasons for looking in Naples. The town offers many choices from independent living to assisted living packages, retirement is about staying independent, enjoying an active lifestyle, and the ability to socialize with other like-minded adults. These communities are usually geared to make life as convenient as possible for residents, with things like lawn and outside maintenance take care of. They normally provide a range of facilities such as health and fitness clubs, golf, tennis, swimming pools to name just a few. The security of living in a 55+ community cannot be overlooked, most have security gates or coded entries. Naples is extremely popular, many people who have had a vacation home here for years, are now making the decision to live here full time, with the warm weather, great dining, entertainment and shopping, Southwest Florida is a great place to live. Find out why Naples is one of the best places to retire. 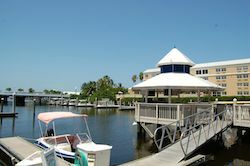 If you have decided that you are interested in the different types of retirement communities in Naples Fl, then let us help you. There are lots of things to consider, we can help by finding out everything you need to know before your visit to Naples. Each community is different, some offer independent living others have full-time staff to help with residents needs. If you are not ready for a 55+ retirement community just yet, then take a look at our list of Gated communities here in Naples. Living in a gated community provides security, low-level traffic and a high standard of amenities and services such as lawn maintenance, all designed to help you relax and enjoy the sunny Florida weather. If you would like assistance in searching the many active over 55+ communities here in Naples, please contact us and we will put together a real estate search tailored to your exact needs. We want to make finding your new home in Naples as easy as possible, whatever your requirements, we are ready to help you find you the right property to suit your needs.